Book 4 of the Pleiadian Perspective is fixed and ready for purchase. Many of you, our dear Emissaries who have taken an earth vessel to assist Gaia, are feeling this CALL. You are correct in your assumption that there is something special, something unique, that is slowly, but ever-increasingly, being unveiled in your consciousness, your daily life and in the physical vessel that you are currently wearing. 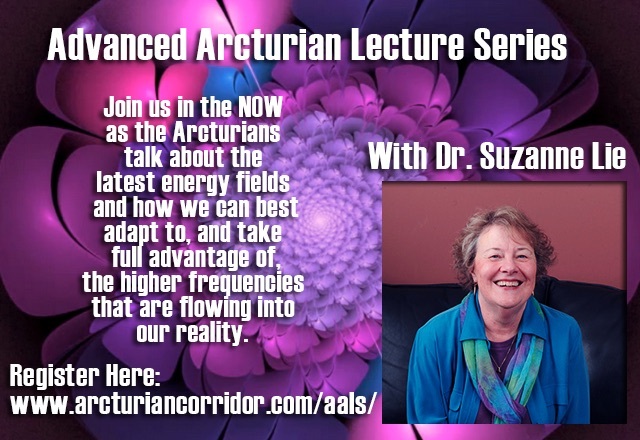 Therefore, we invite you NOW to attend this series of three lectures with us, the Arcturians. In each meeting we will reveal advanced topics on what is occurring and how YOU can flow and assist with this process. Since the energy fields are expanding every day, the information for each of the three meetings we will be based on the energies of that NOW. Therefore, the lectures will be much like our Morning Messages and Energetic Weather Reports. Please join us and bring all your intuitions, multidimensional ideas, experiences and, most of all, please bring your unconditional love. 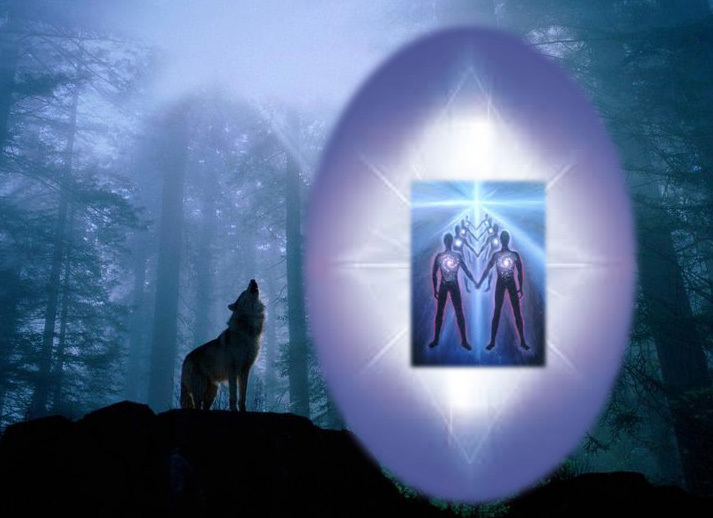 We the Arcturians, welcome you within the NOW of our ONE. If you have signed up and unable to attend, you will receive the recording. In between your third dimensional reality and your multidimensional reality is a portal. More and more, you are connecting your 3D earth body with your multidimensional Lightbody. With every higher thought and loving emotion, that portal expands to encompass both, and all, versions of your current expression of self, as well as ever-increasing dimensions of your Multidimensional SELF. 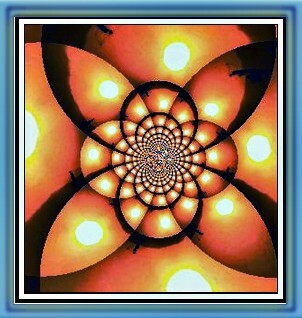 Here is one of several area on my blog to read about your Third Eye. 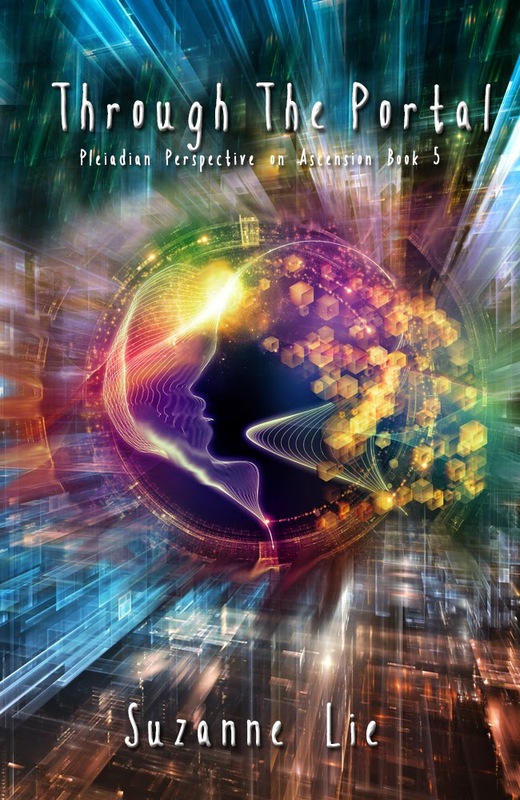 Through the Portal, Book 5 of Pleiadian Perspective on Ascension is here! Through the Portal is the final book for the series Pleiadian Perspectives on Ascension. The journey of the five books flowed from the Pleiades to Earth and back again over several generations of Pleiadians that were human and humans that were Pleiadian. In the fifth book, Through the Portal, the many inter-dimensional adventures were pulled into the NOW of a cohesive finale. Concluding with the story of the The Bird Flock of MU in book 4, it was the NOW to begin the adventure of changing reality. This change begins, once again, at the local multidimensional airport, then returns to the core of Earth to confer with the ancient Lemurian civilization. Big changes are about to occur on planet Earth and leadership training is needed for Sandy and Jason. But when they return to Earth, that which they thought they would change, changed them instead. Follow this amazing “final act” that is actually a new beginning. Get your copy today! Note: If your version of Book 4 has 400 pages, you have a previous version of the book, so you already have the full ending of the series. However, if your Book 4 is about 200 pages, please refer to Book 5, “Through The Portal,” for the conclusion! 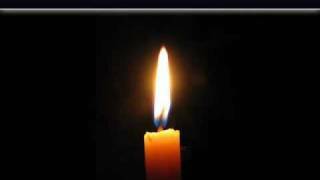 terram novam: THE CALL ::: FINE-TUNING OUR MISSION ::: sharing. The below message is channeled through my Arcturian SELF. This message is from my human self. Since time is almost gone to me, I can’t remember when the above message came in, but since then I have been pulling through extreme amounts of higher light. I think that I have been in the process of “fine-tuning my mission,” or, at least I thought so then. However, the first and second day after running this high frequency energy, I felt like a limp rag. It guests came over to see us. That should make me happy, which it did, but it did not add any energy to my consciousness. I felt like an empty vessel. In other words, it was down to the fine-tuning part of our Mission, which is to make sure that that we integrate what we have experienced into our daily lives. Sometime, at least to me, the ascension process feels like a roller coaster ride. The up swings are amazing, blissful, euphoric, and fun. However, the down swings are exhausting, confusing, and strangely sad. I am not sure what the sadness is about. Perhaps, the sadness is the loss of my best friend – fear. Perhaps, the sadness is a realization that life, as we have known it, is ending. Sadness is not always a bad thing. In fact, sometimes it is a way to honor that which is no longer is in our life. Perhaps, the sadness, that could not be felt before because it would be too overwhelming, can finally come to the surface to be released. Maybe it is the same with the anger, fear, anxiety and depression. Maybe they can only come to the surface of our consciousness after we have experienced truth, unconditional love, bliss and joy. Whatever the reason is, I think that it is important that we honor all our emotions, even if they are fear-based. As our consciousness expands, so do our emotions. Therefore, many of our feelings do not feel identical to emotions because they are of a much higher frequency. In our multidimensional experiences, light and sound, thoughts and emotions are not separated. They are ONE experience. It is the combination of light/thoughts and sound/emotions that allows us to move our conscious experience of reality beyond the invisible threshold that has trapped us in the third dimensional illusions. Now that these illusions are being popped open to reveal the truth, anger is a frequent guest in our emotional world. How could we have been so stupid, so scared, or oblivious to believe those obvious lies? This is, of course, a self-judgment that is NOT based on unconditional love. However, with time swirling in and out our reality, it is easy to forget that the world we lived until, well, until NOW was based on illusion. Just a few years ago, the truths that are common (to anyone who reads the Internet), were absolutely impossible for almost everyone to believe. Then, there were those of us who forgot to forget. We had to monitor our every word so that we did not reveal what would be ridiculous or blasphemous to most of those around us. Perhaps, our sadness is the sorrow of years, in fact lifetimes, of isolation from others and from our SELF. As we become more intimate with our true SELF, we are able to become more intimate with others. As we become more honest with our SELF, we can be more honest with others. And, as we remember more about our SELF, we remember more about our Mission. Thus, the fine-tuning of our Mission is actually the process of fine-tuning our relationship with a vaster expression of our SELF. This SELF is not just our higher expressions of our Multidimensional SELF; it is also the first expressions of our human self. I have found that remembering what I have always loved, such as Nature, gardening, laughing with a best friend, being with loved ones (even when I am too tired to fully engage) is what I have always loved. Different people have different loves, and I think doing exactly what we love is the best way to fine-tune our Mission. In fact, in order to find the basis of our Mission, we can look back into our childhood and remember what we always loved as a child. Our Divine Child is the part of our human self that as never forgotten our Mission. We can also look at what our main problems, which have been constantly repeated in different forms and dramas, to see that which has been blocking us from BEING our Mission. If we can stop judging ourselves for having the same problem, again, and unconditionally love, forgive and accept ourselves, the problems are often resolved or often vanish. Once we have forgiven, accepted and loved ourselves—unconditionally—we suddenly find the “time” to DO what we LOVE. In fact, doing what we love is one of the most important things that we can DO for our Mission. When we allow ourselves to do what we love, we FEEL love deep within our core. When we FEEL love within our core, we become solid, grounded, steady on our ever-changing Path. With this commitment to our SELF, we no longer forget to water the flowers, walk the dog, call the grandkids, lay in the sun, read our favorite book and spent lots and lots of time with people, animals, plants and activities that we LOVE. Choosing love is what fine-tunes our Mission. When we choose love, especially unconditional love, we can see life clearly, without condition, without limitation or separation. Choosing love allows us to remember our Spirit and shine it out for all to see. We have hidden, kept silent, lied and ran away for myriad lifetimes because it was too soon to live in love. It was not safe to tell the Truth and we had NO guidance, except that which we found within. Now, our inner and outer lives are merging into ONE, and there is not place to hide, even if we wanted to. The time that we have awaited for more lives than we could count has come into our NOW. Oly, Oly, oxen, free, free, free. It is time to come out of hiding and be our SELF. Yes, we may be exhausted the next day, or week. Yes, it is a risk. Yes, it could all be “just our imagination.” But what if it isn’t? What if everything that everyone is saying was true and we were too afraid to stand up and be counted? Now, that would be my greatest fear. Therefore, here I AM in the NOW of Personal and Planetary Ascension. We are the Arcturians wish to speak with you today about your Mission. We will not directly tell you what your Mission is for it is through the process of finding, remembering and fine-tuning your Mission that you will find the Wisdom, Power and Love to live it. Your Mission is not a job that you go to and leave at the end of the day. Your Mission is the reason why you chose to take embodiment during this auspicious era of Personal and Planetary Ascension. Ascension is not a gift or a reward. Ascension is a choice and a responsibility to be the Master of your thoughts and emotions. If you are not the Master of your own energy field, it is quite difficult to step-it-up into the fifth dimension and beyond. It is your energy field, your consciousness, which will ascend, for your earth vessel is just the container that was necessary for you to adhere your life force to the third/fourth dimensional matrix. One of the important moments of your ascension process is when you remember that you are NOT your body. YOU are the consciousness the fills, and now overlaps, your body. Your earth vessel is the container for your consciousness, and your aura is the magnetic field that can adhere you to your multidimensional consciousness. Your full multidimensional consciousness does not need a container at all in the eight through twelfth dimensions, and from the fifth through seventh dimensions, your container is no longer created by third dimensional elements and fourth dimensional elementals. In the fifth dimension, your container is one of light, as light is ever flowing can transmit its highest expression of unconditional love. During your process of ascension, your physical and etheric container is becoming increasingly constrictive. You are like a snake that must shed its old skin or a butterfly that no longer wants to crawl and is ready to fly. You yearn to flow, float and instantly transport yourself to the myriad light-based fifth dimensional realities that are increasingly entering your imagination and dreams. You are unsure of the manner in which you will transport and/or transmute your experience of reality into the reality of your dreams and imagination, but how that will occur is beginning to constantly haunt you. You are being called Home. The Clarion Call has begun, and it grows stronger within every minute of your time. Sometimes this Call fills you with unconditional love and light that shins to colors and a brilliance that you never experienced before the Call entered your Being. Sometimes the Call fills you with calm patience and an inner Knowing that all is well. On the other hand, sometimes the Call fills you with great fatigue and frustration. This fatigue and frustration is because your earthen vessel has become too small, too constrictive. You tire of the dramas that you once called life and yearn for a reality that is of a calmer, gentler pace. Ambition has left you and possession is an archaic term that bound you to a reality of work and acquisition. The only possessions that you treasure are those which you hold within and those which allow you the security of a safe place to more deeply explore your inner journey. Hence, you home has become your haven from the hurry, scurry of a reality that you can no longer cherish. Your “yard” and all of nature can no longer be a possession for it is a living being that you lovingly tend, visit and protect. Your birth family and the family of your adulthood may or may not understand the process that lives forever in your heart and mind, but it does not matter to you. You no longer need outer assurance that you are “doing the right thing,” or “being a good person.” You look inside now to attain that assurance. In fact, now you look inside for everything. At the same time, you are finding a new definition of “life” that flows into that which you once knew, but expands far beyond the limitation, illusions and barriers that were once a part of your daily reality. Every now and again, fear trickles into your consciousness and you feel it like an anchor that traps you in a sensation of reality that closes your heart and dampens your mind. Fortunately, your connection with your higher frequencies of expressions can reach into your memory and remind you who you REALLY are. Yes, you are remembering who you are now. As past/parallel 3D realities begin to flood your awareness, the grand significance of “being alive” takes on a new meaning. Death is no longer a fear of extinction, but only an interruption in your present expression of reality. As you feel the great transformation within your self, as well as the promise of consciously creating a new, higher expression of reality, you treasure the life that had once been a burden filled with fear and challenge. You remember now that fear was a choice of your attention and challenge was an initiation that pushed you further along your path of ascension. However, ascension is no longer a “path,” nor is it a “process.” Ascension is your every thought, every emotion and every choice of reaction, response and behavior. Ascension is a constant release of that which has been completed, and a continuous recognition of the reality that YOU are creating. Everything that happens in your live now is a component of your ascension, and there is no person, place, situation or thing that is more important than your personal and planetary transmutation back to SELF. Challenges are becoming opportunities for growth. Fear is becoming that which you relentlessly transmute into love. And, time, which once captured you in duties and obligations or allowed you a moment of happiness and love, is blurring into the NOW. are being erased from your perception. The space in-between is no longer a barrier that you must “work through,” as it was before. 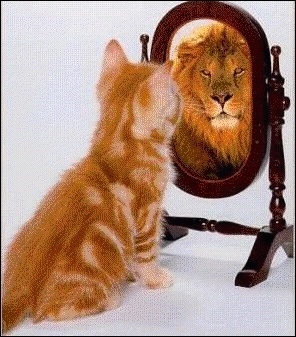 With the Mastery of your Energy, you can instantly transmute any situation by simply remembering who you are. However, within the moment of your NOW, part of “who you are” is your physical encasement, as well as the physical encasement of your Mother Gaia. Therefore, just as the snake must remain still in order to shed the skin that has become too small, just as a caterpillar must disappear into its cocoon in order to become a butterfly, you need to “shut down” your physical operations as often as is necessary. Remember, you are not just adapting to a new body. You are, also, adapting to a new planet and a new reality. With your every choice and decision you enter a new spectrum of possible realities. Many of these realities are of a much higher frequency. Therefore, you must calibrate your consciousness to these higher frequencies of reality with you every thought and emotion. Unfortunately, some situations still lower your consciousness and you must fight to release your fear and remember your SELF. After these challenges, you will need to rest. In both cases, there is a constant need to be still so that you can integrate the new and to release the old. Furthermore, you are releasing time-bound third dimensional thinking and learning/remembering to think multidimensionally. You are also releasing the judgments and conditions of human love and learning to live in unconditional love. If that is not enough, you are transmuting not only this physical reality, but also all the physical realities you have ever experienced on the body of Gaia. Last, and definitely not least, you are transmuting the planet Herself. Yes, the planet is a She, a being of form. She, Gaia, wishes to return to the fifth dimension where She can unite with Her Divine Complement, a formless being of Spirit. Together, they can again become a Multidimensional Star. She has been your Mother for countless incarnations, and you have chosen to serve her again and again. Now, person and planet, as ONE Being are returning to their Higher Expressions. Your Divine Complements are also lining up at the threshold of the fifth dimension to be rejoined as your Galactic and Celestial ancestors reach out to embrace you. We have prepared a table for you, the candles are lit and the music is on. The party is starting, and we are ready to embrace you!